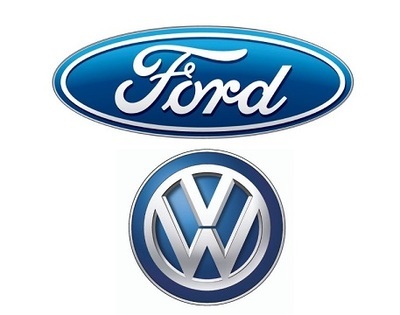 DETROIT, Jan. 15, 2019 – Volkswagen AG and Ford Motor Company today announced the first formal agreements in a broad alliance that positions the companies to boost competitiveness and better serve customers in an era of rapid change in the industry. The Volkswagen Group with its headquarters in Wolfsburg is one of the world’s leading automobile manufacturers and the largest carmaker in Europe. The product spectrum ranges from motorcycles to small cars and luxury vehicles. In the commercial vehicle sector, the products include ranges from pick-ups, buses and heavy trucks. The Group operates 120 production plants in 20 European countries and a further 11 countries in the Americas, Asia and Africa. Every weekday, around 642,292 employees worldwide produce nearly 44,170 vehicles, and work in vehicle-related services or other fields of business. www.volkswagenag.com. Ford Motor Company is a global company based in Dearborn, Michigan. The company designs, manufactures, markets and services a full line of Ford cars, trucks, SUVs, electrified vehicles and Lincoln luxury vehicles, provides financial services through Ford Motor Credit Company and is pursuing leadership positions in electrification, autonomous vehicles and mobility solutions. Ford employs approximately 200,000 people worldwide. For more information regarding Ford, its products and Ford Motor Credit Company, please visit www.corporate.ford.com.